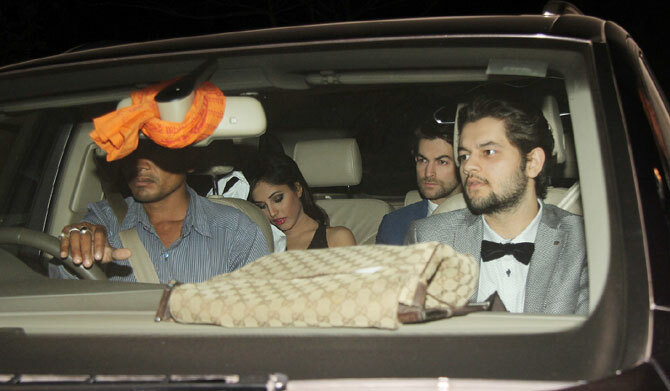 Neil Nitin Mukesh dating Sasha Agha? Home bollyfmblog Neil Nitin Mukesh Sasha Agha Whats New Neil Nitin Mukesh dating Sasha Agha? Neil Nitin Mukesh got a new start in Bollywood with Salman Khan starrer, 'Prem Ratan Dhan Payo'. According to a report on Mid-day.com, Neil is apparently dating Sasha Agha, daughter of veteran actress Salma Agha. The report stated that Sasha was a special invitee at a party thrown by Neil, and the actor has also shifted base from SoBo to suburbun Mumbai, close to where Sasha stays. However, the duo was quoted in the report saying that they are only friends, and that there is nothing more to it.